New Year’s Day is the day when I traditionally take down my Christmas tree. Well, as I pondered and pondered and pondered what to do for my January photos, I turned to my sister because she always has great ideas. One (of the many) thing that she threw out there as an option was trees. I love trees. Almost as much as I love sunrises and sunsets and animals and oceans and mountains and… wait a minute. Anyway… so TREES will be the theme for the month. Or at least until I get really bored with trees. This was a strange holiday season and I just wasn’t feeling it, so putting my Christmas stuff away was a breeze. Especially considering that the decorations consisted of one thing. A tree. 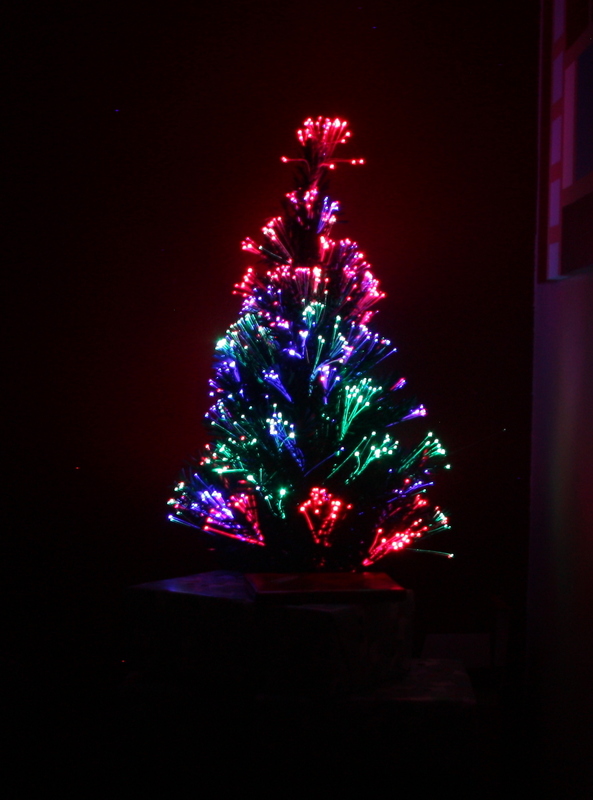 And not just any tree, but a two and a half foot tree with fiber optic lights, requiring no decorations whatsoever. Laziest Christmas ever. Unplug it. Put it in the box. Christmas decorations put up for the year. Got it done in the amount of time it took coffee to brew.